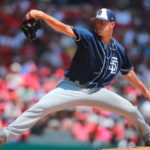 MacKenzie Gore struck out seven batters in five innings for the Storm, while Buddy Reed clubbed two home runs for the Sod Poodles. 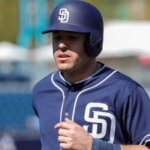 The minor league affiliates of the San Diego Padres went 4-0 today. Here is a quick recap of today’s action. For just the second time this season, the El Paso Chihuahuas have won a ballgame. 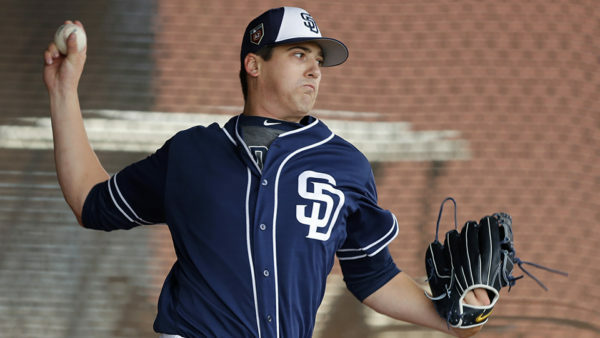 A much better start from Cal Quantrill was a significant factor in the win. The former first-round pick lasted 5.2 innings, allowing just two runs on three hits while striking out five. 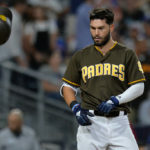 However, he was pulled with two outs in the sixth inning for Phil Maton with a runner on second, and Maton promptly coaxed a strikeout from Jose Lobaton to end the inning. Once El Paso took the lead in the third inning, there was no looking back. 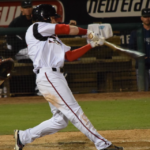 RBI singles from Esteban Quiroz, Seth Mejias-Brean, and Ty France pushed the lead to 3-0, but a three-run homer from Michael Gettys ensured that the Chihuahuas would bring home the win. The victory snapped a three-game losing streak and helped El Paso avoid a sweep. Amarillo navigated through choppy waters in the final few innings, but an early outburst of runs kept them afloat after Corpus Christi scored five runs in the final two innings. The Sod Poodles were carried to victory thanks to a seven-run third inning, started by a Brad Zunica RBI double. The first baseman was driven in thanks to a double from Webster Rivas, who came around to score on a two-RBI single hit by Edward Olivares. Buddy Reed capped off the inning by slapping his first of two home runs. 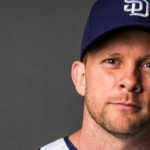 However, after a decent start by Jesse Scholtens, who tossed five innings of two-run ball while striking out four, the Hooks carefully ticked off runs against the Sod Poodles bullpen. First was Tyler Higgins, who gave up just a single run in two innings. Then Andres Munoz, who has looked suspiciously hittable as of late, gave up a couple more runs. 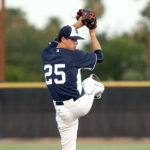 Blake Rogers came in to slam the door in the ninth inning, but after allowing three runs to cross the plate, induced a fly out to Reed to end the game. It was the second home run by Reed and an RBI hit from Jorge Ona that gave Amarillo just the insurance they needed to escape with a win. Four Sod Poodles players had two or more hits, while three players pushed their batting averages over .300 (Zunica at .379, Ona at .321, and Rivas at .353). One player who has struggled so far is Hudson Potts who, after a 1-5 game, saw his batting average drop to .129 on the young season. 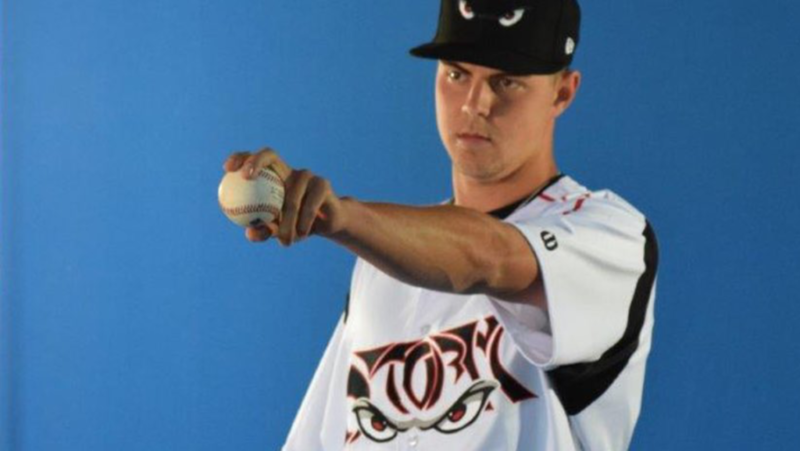 The Lake Elsinore Storm got their first home win on the season thanks to an excellent start from top prospect MacKenzie Gore. Looking fully healthy and better than ever, Gore carved the 66ers lineup like a Thanksgiving turkey, striking out seven batters over five innings. Should he continue to put up results like these, he won’t be staying in Lake Elsinore for long. 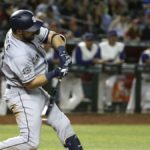 The offense was evenly spread out between the entire team, as every starter had an RBI with the exception of Jeisson Rosario, who scored two runs, and Esteury Ruiz, who struck out in all five of his at-bats. Collecting three RBI for himself was Jack Suwinski, who drew a bases-loaded walk in the second inning, an RBI double in the fourth inning, and an RBI single in the eighth inning. With the win, the Storm has now won four of their last five games in a great start to their season. It took some more of that late-inning magic that Fort Wayne has whipped up in the past few games, but the TinCaps scored four runs in the eighth inning to surprise Dayton and win their fourth straight game. Dayton took the lead early, tagging starter Efrain Contreras for a single run in the third inning. Contreras would only allow the one run in five innings, striking out eight batters while walking three. Dayton piled on three more runs against Dan Dallas and Tom Colletti in the sixth and eighth innings while Fort Wayne scratched a single run across in the seventh inning. 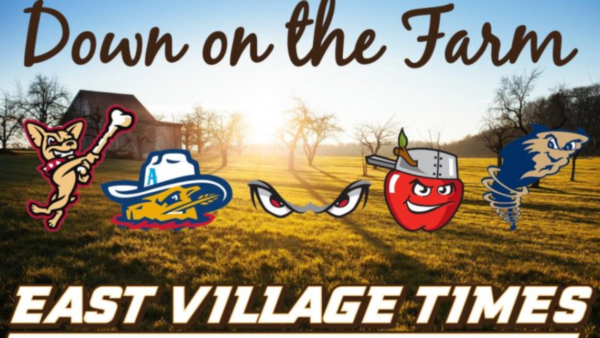 However, the TinCaps exploded for four runs in the bottom half of the eighth inning, as both Grant Little and Luis Almanzar continued their hot hitting by driving in runs. The two are batting .394 and .304 respectively to begin the season. Henry Henry walked a tightrope in the ninth by walking a batter and allowing a hit, but he buckled down to earn his first save of the year.